Living here is everything we wanted. 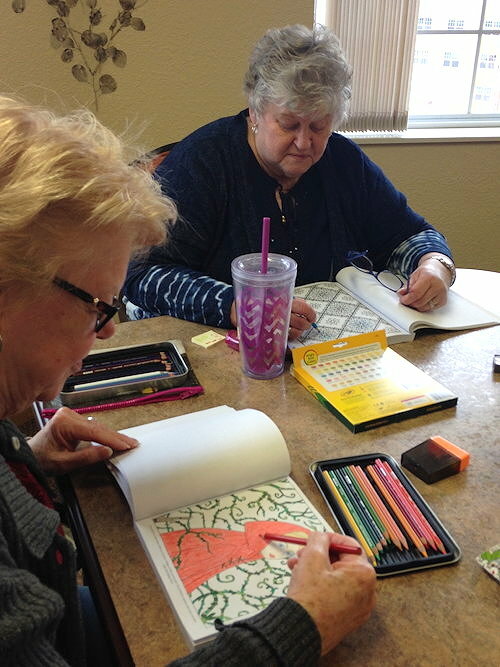 Friendly atmosphere, game nights, social activities, great staff, near Eden Prairie Center. 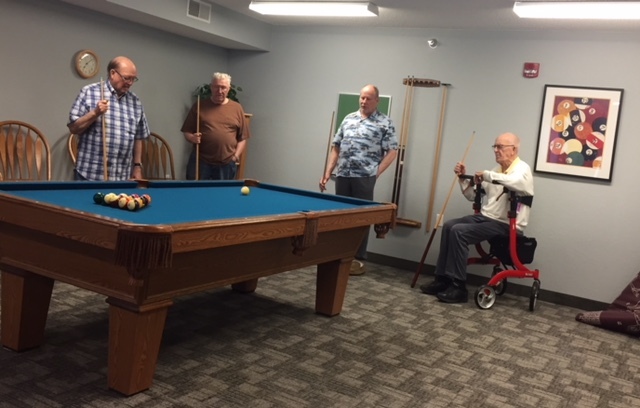 So whether you are part of the pool sharks, the puzzle squad or any number of other games and activities, the main thing is to have fun and even take some time to help someone else improve. 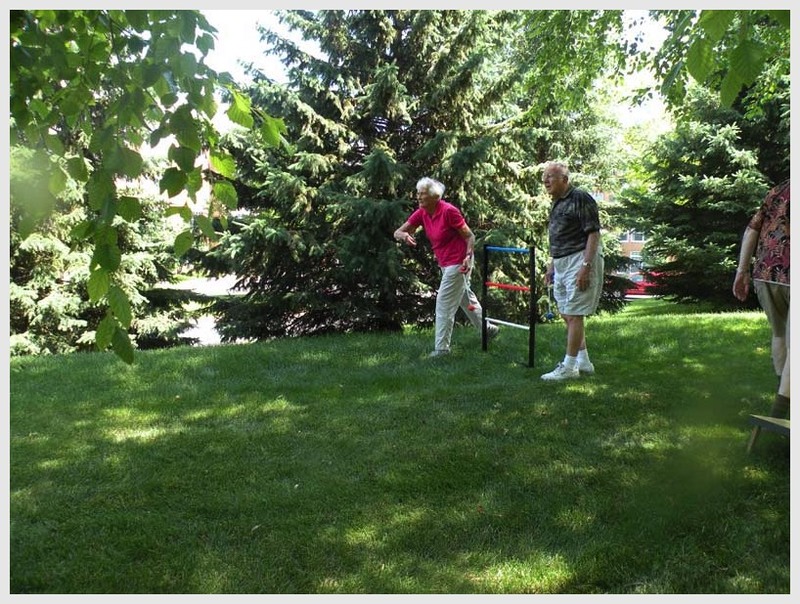 It’s a very fun activity to have when weather does not permit frolicking in the outdoors! And we KNOW that can happen at times in Minnesota. 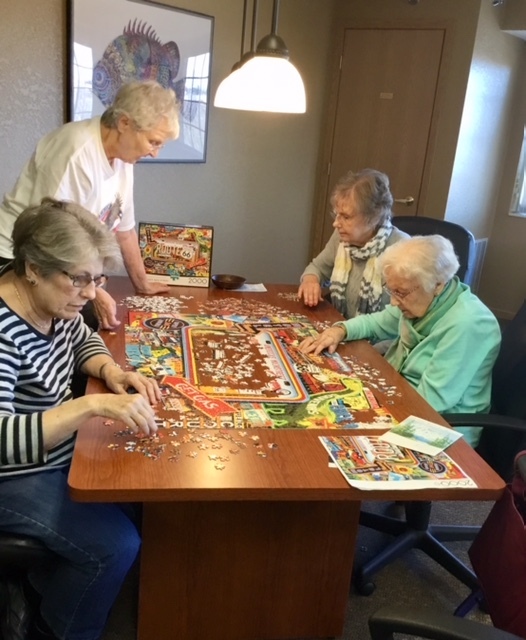 At Valley View Senior Cooperative some of the activities are in helping the less fortunate to make their lives easier while helping to provide some comfort. It’s nice to know someone cares, especially when times are difficult. 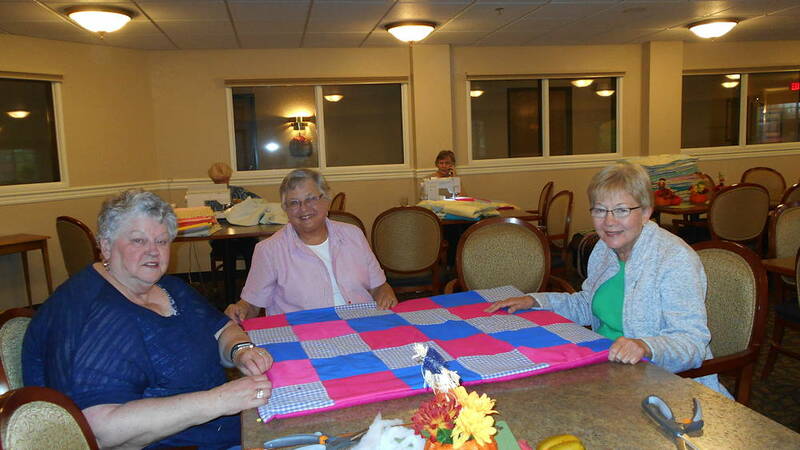 The Quilting Team has been doing this for years and they’re not slowing down. They don’t like to advertise their giving but we thought we would catch them off guard and sneak a quick photo! 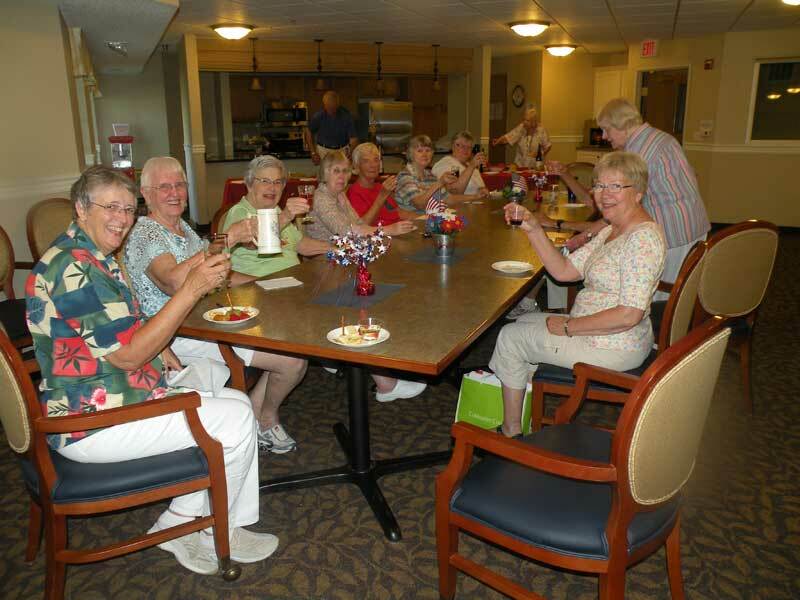 Valley View Senior Cooperative of Eden Prairie has a lot to offer for the active 55 plus senior lifestyle. Co-op living has its benefits. A myriad of activities take place in a congenial atmosphere of neighbors who have become close friends. 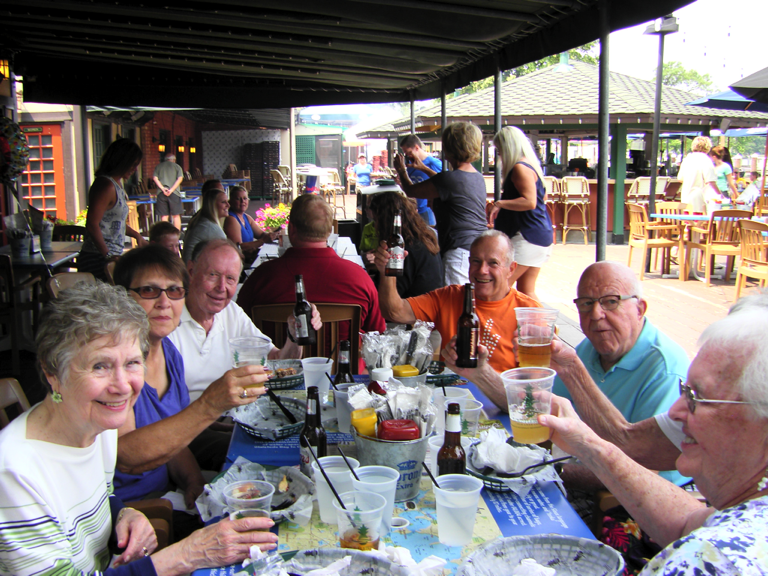 A wide variety of get-togethers that include: potlucks, cards, poker, crafts, sewing – to name a few. Our Valley View room has a fully equipped kitchen, a 60” high definition wide screen TV, and a Wii – all for your use and enjoyment. The library and lounge have books and magazines to read, movies to borrow and puzzles to solve – it is a great place to refresh and relax. If you’ve been relaxing too much, there is always the exercise room with commercial grade exercise equipment for cardio and resistance training exercise. There are even video exercise instructions you can follow to assist keeping you in shape. A regulation pool table is there for you to enjoy also. Someone is often using the wood working shop, the craft room or the game room. If you prefer the outdoors, a two-mile walking, hiking or biking trail around Lake Smetana is out our backdoor. So, take a walk, play some lawn games, and then picnic or barbecue at the covered shelter overlooking the lake. 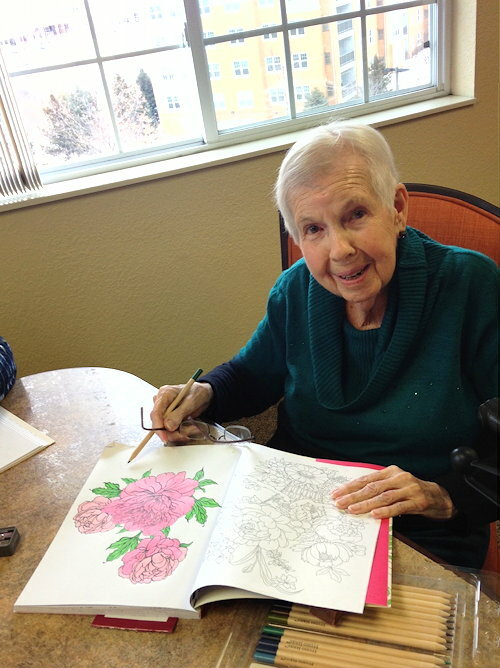 If you are more inclined to stay inside for the day, relax a little and visit while taking some time out to color! It’s fun! 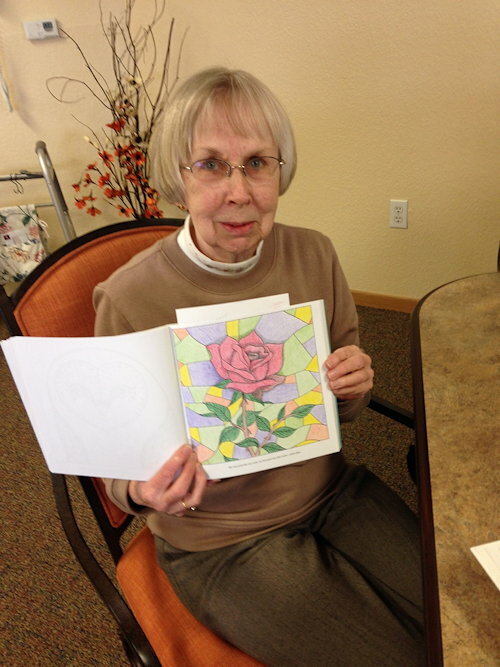 Valley View Cooperative of Eden Prairie is an Equal Housing Opportunity Provider.